Rock and roll shows sure don’t get much more liberating than this – as demonstrated at the Hare & Hounds on Sunday night. 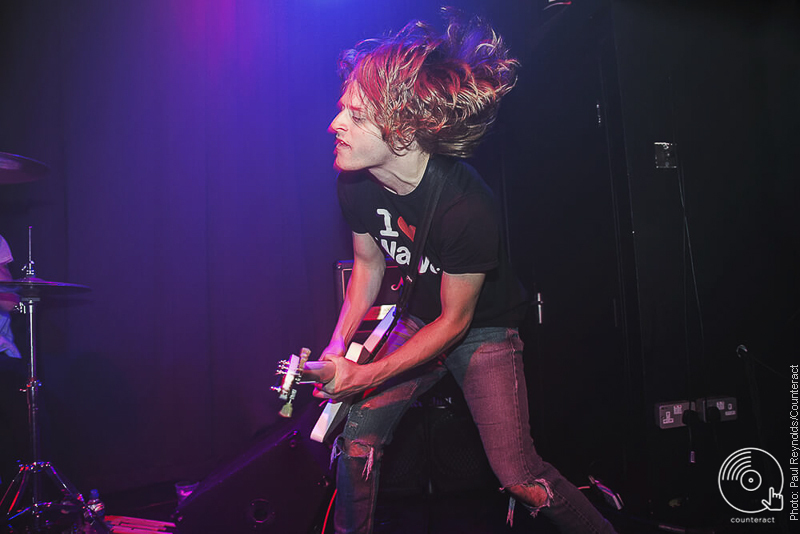 Sure, Puppy’s performance might lack a little finesse – demonstrated by frontman Jock Norton knocking the microphone out of its stand and looking panicked mid ‘The Great Beyond’ – but when has rock and roll ever been neat and tidy? Tearing through their set with a rambunctious energy, the trio are unhinged and racing free. There’s a reason this band are held in such high esteem by all who encounter them. Their filthy hooks, storming rhythms, and addictive lyrics are both bolder and more brazen on the stage. If their performance tonight is anything to go by, they won’t be taking support slots for much longer. 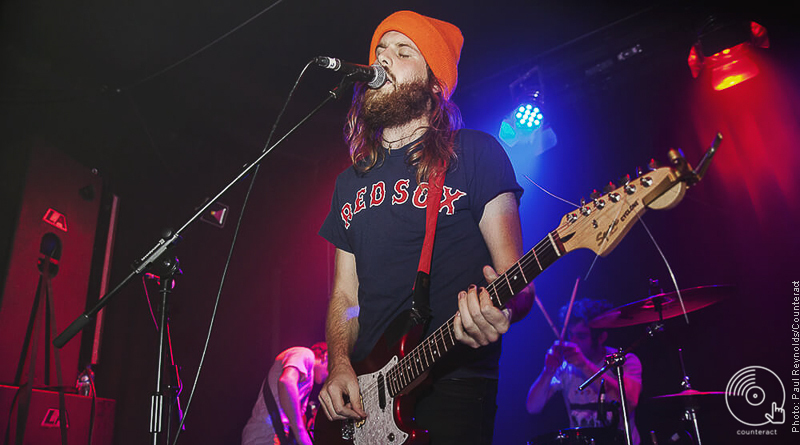 Sorority Noise are welcomed as heroes – which at this point only seems customary. A few songs into their set and even for any unfamiliar with the Connecticut outfit, it’s clear why this is the case. This is a band who wear their hearts on their sleeves. As the lyrics echo through the tightly packed crowd, the gathered open themselves up in the moment too. Barely speaking a word between songs, losing themselves in the thrilling racket they create, the group let their music say everything that’s needed. 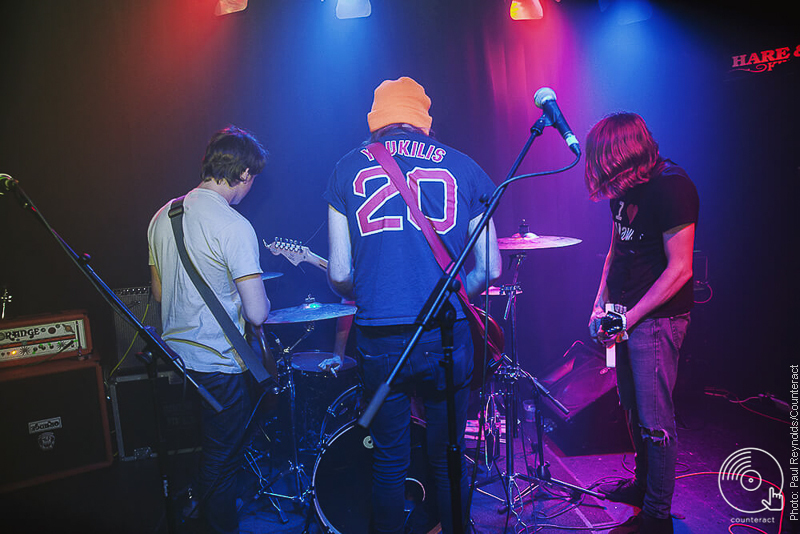 Riffing on their turmoil, harmonizing on their insecurities, Sorority Noise tear through worries and cares with an unparalleled proficiency. 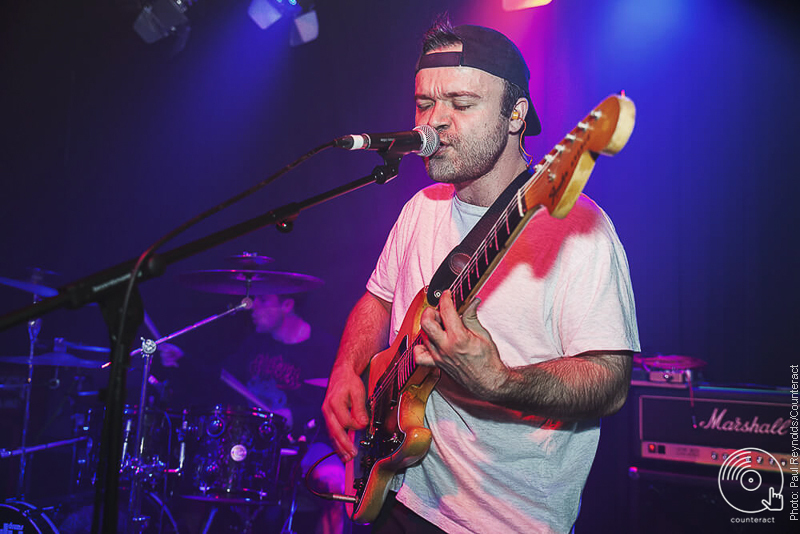 With frontman Cam Boucher pausing before the group’s final song to address his own mental issues to the room, the whole performance rallies towards reassurance. It’s a small room the band are assembled in, but the deep set adoration spills out long into the night.